"Saving Sanity - and Souls - in Koreatown" by Melissa Pandika, is an interesting article about mental health issues among Korean-Americans. The article specifically discusses the high prevalence of certain mental illnesses such as depression among this cultural group, the contributing factors to the development of these conditions, and how these individuals often turn to churches for help and support rather than mental health services. "So when Korean-Americans struggle with substance abuse, depression or other mental-health issues that plague their community, they often turn to pastors or church elders rather than seeking help from mental health services. Many shy away from therapy due to the intense stigma surrounding mental illness. And Korean-Americans often feel that medical providers don't address the spiritual and cultural issues that matter most to them." "Addiction to Prescription Opiates is Almost Always a Symptom of Deeper Suffering" is a profound article, written by ER physician and Medicins Sans Frontieres member Dr. James Maskalyk, that speaks to the increasing dependency on prescription opiates in Canada. In addition, Dr. Maskalyk also discusses the addictions that can result from opiate use, and how some patients' reliance on these medications seem to stem from deeper, more emotional and psychological suffering rather than physical pain when explored further. "They treat pain. But not just physical pain. It gets it all. You return to the womb.” Rough edges disappear, and with them, the drive for another breath." Forensic Psych: These Patients Are "Ill Not Evil"
In follow up to yesterday's post about Michael Stewart, who was found not criminally responsible for the death of his mother whom he had killed during a psychotic episode, Canadian filmmaker John Kastner speaks out about forensic psychiatry patients, including what happens to those like Michael who commit a crime while suffering from a mental illness. In the article, "Forensic Psychiatry Patients Are Ill Not Evil - And We Should Stop Hiding Them", Kastner shares his experiences within the field of forensic psychiatry and argues that the way the media portrays these individuals and the way in which they are kept hidden from society only perpetuates stigma and fear. Kastner has made a number of documentaries, but in the last few years he has been focusing mostly on the Canadian justice system and mental illness. 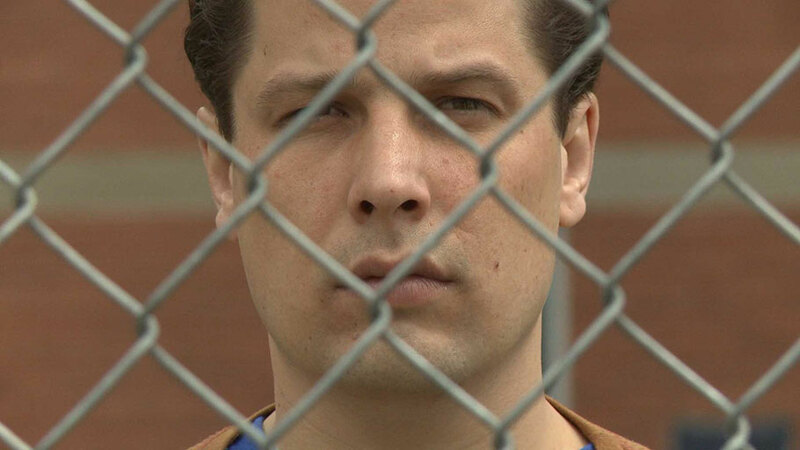 In 2013, his film "NCR: Not Criminally Responsible was released, which looked at the "personal impact of the mental disorder defence in Canada" and showcased the story of Sean Clifton, a man who repeatedly stabbed a woman in a shopping mall while in a delusional state. This May, another of Kastner's documentaries called "Out of Mind, Out of Sight", which follows "the cases of four patients at Brockville [Psychiatric Hospital] who committed violent acts" including Michael Stewart, will also be released. "﻿﻿What Michael Did﻿"﻿ is a powerful and moving story about Michael Stewart, a Canadian man with schizophrenia, who back in 2002 when he was just 23 killed his mother during a psychotic episode. In the article, readers are given an intimate look into one family's experience with schizophrenia, as well as the confusing and scary time in which they witnessed the smart and witty Michael they used to know transform into someone else almost entirely ... someone who was paranoid, agitated, lost, and suffering from delusions and hallucinations, including believing that others could read his mind. Though a heartbreaking tragedy, the story manages to also be inspiring by demonstrating the immense resilience of the Stewart family, and shedding light into how they coped with the loss of one family member and forgiving another who had committed the act. Check out "Words on Postpartum Depression", an exquisitely written poem by a new mother with postpartum depression (PPD). Through descriptive and eloquent words, readers can gain a little insight into the dark and distressing experience. Susan Boyle is a Scottish singer who is best known for her astounding voice which many took notice of when she first appeared on Britain's Got Talent. Since then she has sold over 19 million albums and has been a Grammy nominee. What many don't know though is that recently Susan was diagnosed with Asperger's. In the article, "My Secret Struggle With Asperger's" (The Daily Beast) Susan opens up about her reaction to the diagnosis and her experiences with the disorder, all the while demonstrating inner strength and resilience. In her essay she also describes how she told others about her diagnosis, and why she decided to make a documentary that showcases what her life with Asperger's is really like. "I have Asperger’s and it doesn’t define me, it gives a greater understanding of who I am."